Caribana has become a key highlight of summer in Toronto. It’s hard to imagine an August long weekend without the opportunity to whine ya waist to the beat of soca and calypso down Lakeshore Boulevard. This year the festival, officially known as the Toronto Caribbean Carnival, is celebrating its 50th year and it’s bigger and better than ever. The festival brings more than two million people to the city each year, and as the largest festival of Caribbean culture in North America the occasion is irresistible with its lively music, colourful costumes and delectable island eats. For half a century, Caribana has increased the visibility of African, Black, and Caribbean cultures and their influence in this city and has served as a symbol of historical and historical pride. As Canada was preparing for its centennial celebrations in 1967, the federal government sought to emphasize the country’s increasingly multicultural makeup and reached out to ethnic groups across the country to showcase their cultures. 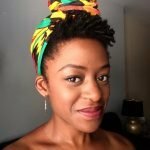 Members of Toronto’s Caribbean community answered the call and planned an event that would celebrate Canada’s centennial while demonstrating the highlights of Caribbean food, dance, music, and arts to the masses. 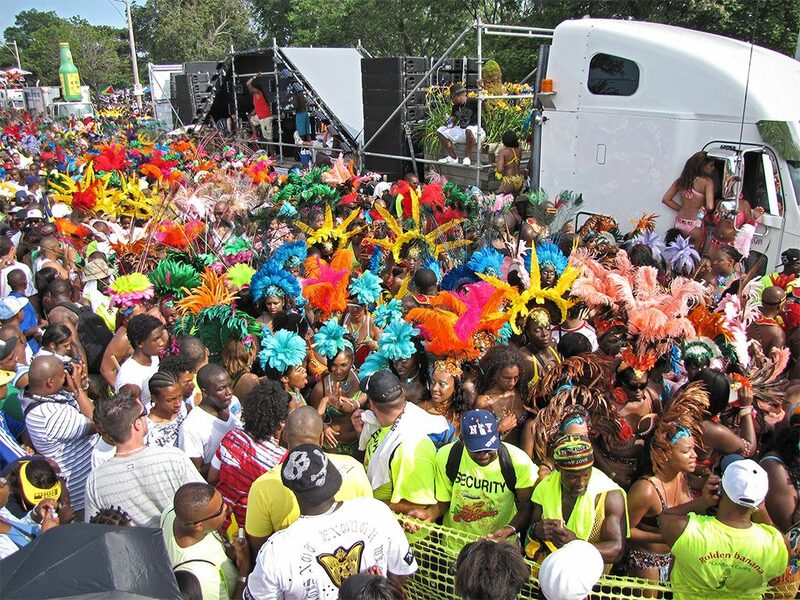 The first festival was modeled after the annual pre-Lenten Carnival in Trinidad and Tobago and was scheduled for the first weekend in August to coincide with Simcoe Day, which commemorates the abolition of slavery in Upper Canada. Originally featuring a parade down Yonge Street, a concert at Nathan Phillips Square, and a variety of activities on Centre Island, the festival was established to showcase was so well received that the Caribbean Cultural Committee (CCC) continued to plan yearly festivals and added more events to the festival over time. The festival has been wildly successful since then, and despite financial difficulties, changes in management, and rebranding, Caribana has solidified itself as an annual summer tradition. Each year the Grande Parade stands as the cornerstone of the festival. With its spectacular display of music, colour, costumes, and dance it is an experience that should not be missed. As a strong reminder of the Caribbean community’s contributions to Canada’s multicultural fabric, the festival is a unique opportunity for people of all backgrounds to come together and celebrate diversity. Looking back on the years since Caribana’s inception it is clear that the festival has played an important role in elevating and emphasizing Caribbean influences on Toronto’s culture. From music and arts to food and fashion, the appeal of Caribana as an open, lively and exciting experience has inspired Torontonians and left an indelible mark on the city. 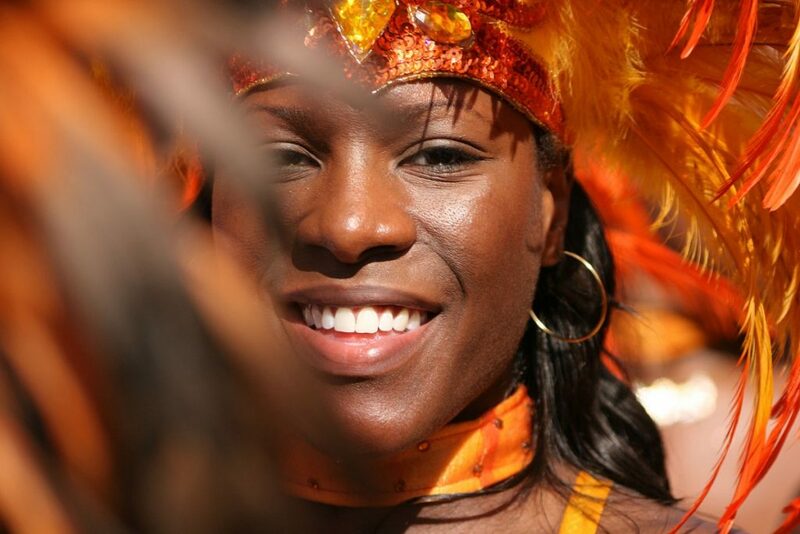 Today Caribbean cultures are arguably some of the most visible in the city. We see the Caribbean influence everywhere in the GTA – in pop culture through Drake’s music, which borrows from dancehall and reggae, and even in the way we speak, as a lot of Toronto’s slang is derived from Jamaican Patois. 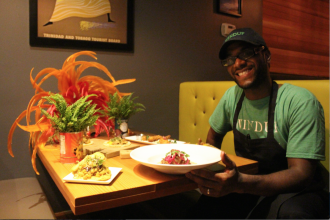 It could be argued, however, that the Caribbean influence is most felt in the city’s restaurant and food scene. Many traditional Caribbean flavours have started to be more accessible in grocery stores around the city, and restaurants featuring delicious recipes from various Caribbean countries have become culinary landmarks across the GTA. I can scarcely discuss Toronto with friends from out of town without mentioning the best places in the city to get roti, curry goat, and oxtail. And you definitely should not forget about all the great food that will be on offer this weekend! Since Caribana is all about celebrating Caribbean cultures, what better way to celebrate than with your stomach? While you may only be familiar with jerk chicken, rice and peas, and Jamaican patties, there has never been a better time to broaden your Caribbean culinary horizons. 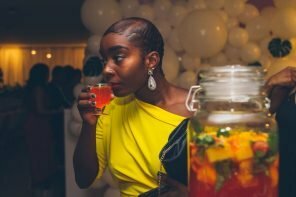 As usual, this year’s festival will have no shortage of tasty treats, and this occasion will be an excellent opportunity to support Toronto’s black-owned restaurants. Ring in Caribana’s 50th year by sampling some amazing dishes at the festival’s numerous picnics and parties, and at Caribbean restaurants all across the GTA. Wondering where to eat this weekend? Look no further. We have you covered! 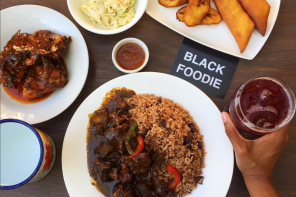 Click here for Black Foodie’s list of the 5 Carribean restaurants you must check out during Caribana!